The little bleeping sounds from Luke Skywalker's adorable robot will always be recognizable to our generation. 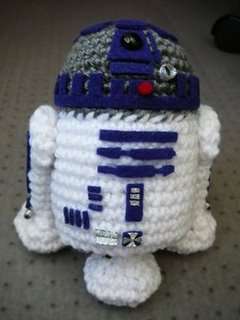 This collection of tributes to R2-D2 include home entertainment systems, trash cans, mailboxes and even cute little knitted creations. 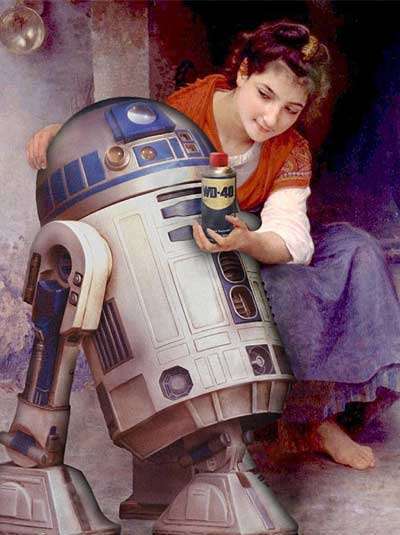 Even though he sat in the back of the X-Wing and never said a word, people have made many tributes to R2-D2. Implications - Character idolization has taken on many forms during the years, but it's no longer enough just to hang a poster above your bed and buy and action figurine. Fans -- especially sci-fi fans -- are creating their own renditions of their heros in ways that range from knitted replicas to kitchenware tributes.